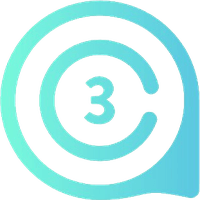 The AC3 (AC3) decentralized digital coin was started on 10/05/2018 and works without the need of a reserve bank or single administration. It is not a mineable crypto currency, so in order to acquire AC3, you can purchase them via an exchange service. It follows the proof of work (pow) consensus and the X11 algorithm. To keep updated with the latest news from AC3, you can find them on Facebook, Telegram, Twitter and Reddit. We don't have any exchanges listed for AC3 yet, check back soon! We don't have any wallets listed for AC3 yet, check back soon! We don't have any debit cards listed for AC3 (AC3) yet, check back soon! We don't have any price charts listed for AC3 yet, check back soon!